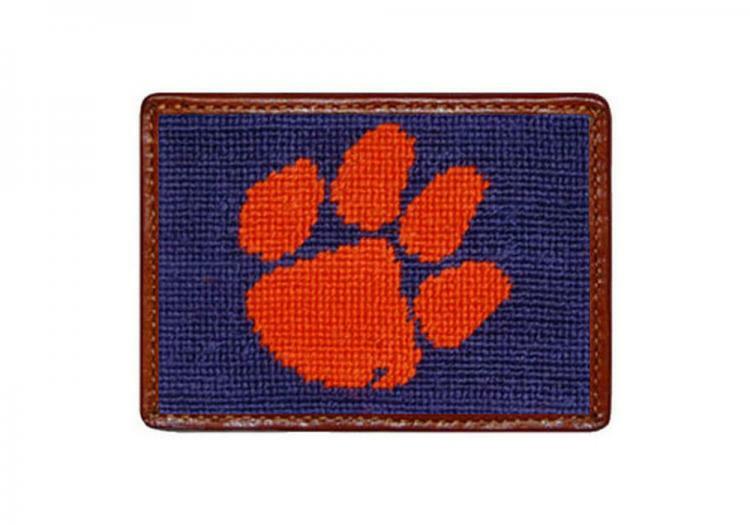 The Tiger Paw is hard to miss and proudly displays your support of Clemson. Design is hand-stitched needlepoint on this card wallet finished with English bull hides tanned in Italy. 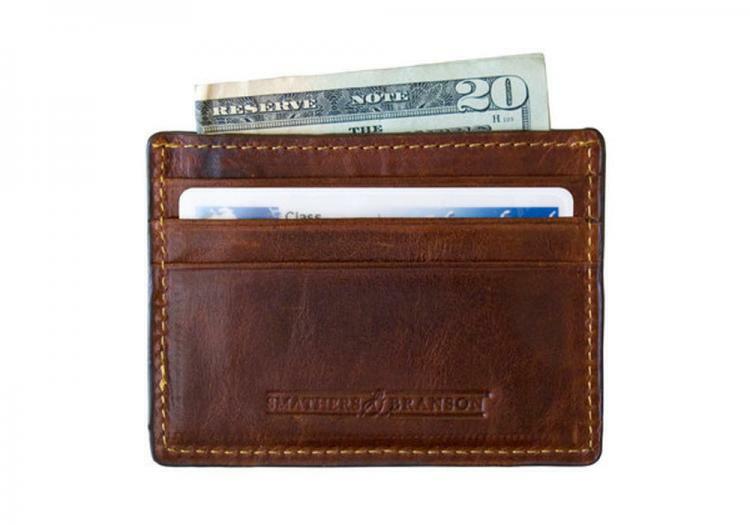 This slimmer wallet style (4” by 3”) provides enough room for cards, cash, and an ID, but does not take up too much room in the pocket or bag. Great for carrying in your front pocket and something less bulky for a night on the town! These wallets are made using a simple formula: great ingredients yield great results. We hope you agree as your wallet breaks in and becomes something you treasure more than what you keep in it. These are loved by students, alumni and fans alike. What a great way to tell someone how proud you are of their hard work and commitment! Price: $55.00 In stock! - Browse this brand: Smathers and BransonOur products are custom made to your specifications. This product ships up to 2 weeks after your order is placed.